Thousands of travelers visit Santa Clara and it’s many attractions every single year. There is something for every age and personality to enjoy around this beautiful Silicon Valley city. With everything from fun family attractions and interactive, educational museums to historic sites, a college campus, and the world’s most high-tech stadium, Santa Clara covers all the bases. Whether traveling for business or pleasure or with friends or family, you will be able to enjoy various things to do in Santa Clara. 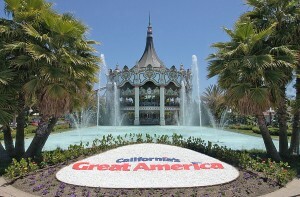 Spend the day riding rollercoasters, watching unique shows, meeting PEANUTS characters, or even floating down a lazy river, in the summer months, at California’s Great America. The whole family will enjoy hands-on exhibits at the Intel Museum or see a piece of history at Mission Santa Clara. One of the most popular attractions in Santa Clara is Levi’s Stadium. Guests can attend one of the stadium’s many exciting events and/or go on a stadium tour. With so much to see and do, your visit to Santa Clara will be full of fun and memories. Copyright © Destination Advantage LLC.